This week's prompt for Illustration Friday was 'Prize'. The idea for this one came to me quite quickly. I've been re-watching Once Upon a Time as the new series begun this week. 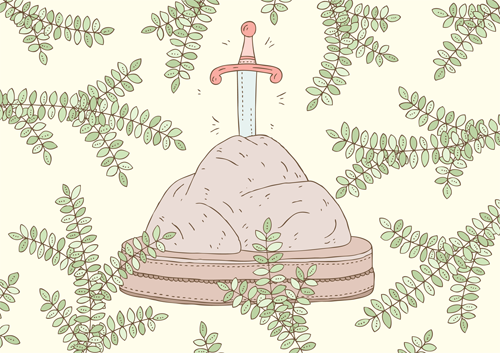 I haven't watched the first episode yet but I knew that it involves the Sword in the Stone, so I used that as my inspiration for my illustration this week.